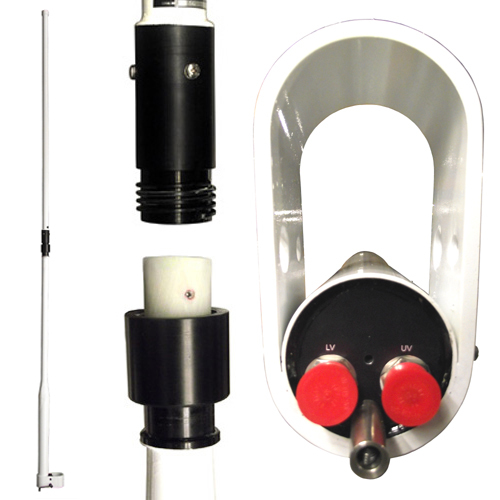 The D2212-S is a white sectional VHF/VHF frequency air traffic control military MULDIPOL™ antenna for ground-air-ground, air traffic control and base communications applications. TACO Antenna's MULDIPOL™ multiple output antenna design offers the operation of up to three stacked dipoles operating simultaneously within one radome with a high degree of isolation between elements. The design has excellent broadband half-wave dipole characteristics over the entire operating frequencies.